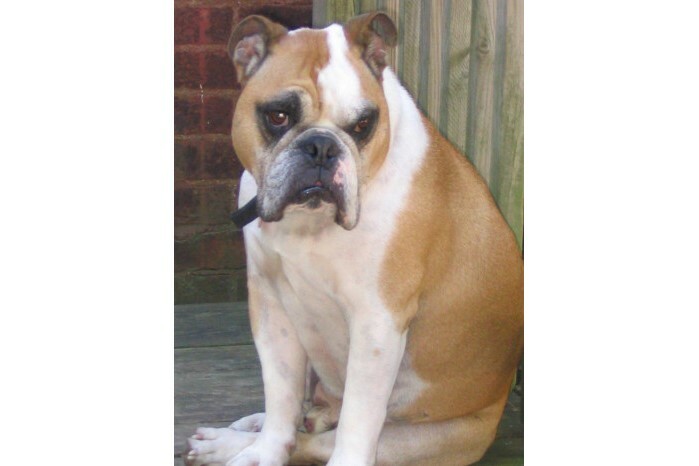 Tank is a very healthy and physically fit 5 year old bulldog who is up to date on vaccines. He is impeccably house trained. Tank came into rescue because of a change in family situation and spent the last 6 months by himself. Miss Tank is a very sweet Bulldog with people and older well-mannered children (over 10 yrs old). She was placed into rescue because she doesn't like other animals at all! She also doesn't like excitable children and tries to get them to be quiet. Miss Tank is house trained, crate trained, lead trained and is a very sweet and affectionate companion. She is HIGHLY animal aggressive and MUST be an only pet. If you are looking for a great Bulldog to watch TV with you and be a loving companion, Miss Tank is willing to do a date! We only adopt within 1 hour of St. Louis. Reference check, vet check, home check and adoption fee apply. BE SURE TO HAVE AN APPLICATION TO ADOPT completed before contacting us!